It's that time of year again: Time to start clearing the mile-high path to scenic Artist Point. July is usually one of our nicest months of the year in Washington. So it's always weird to me when we're clearing snow from the highway this late in the year. 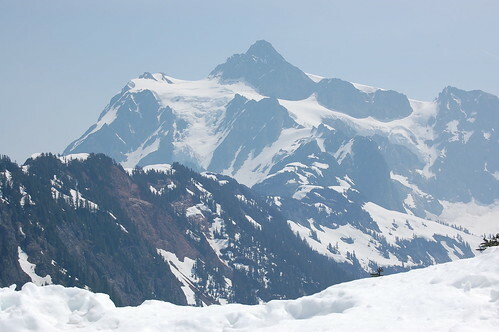 The short 2.7-mile-long stretch of road to Artist Point at the end of SR 542, Mount Baker Highway, sits above the Mount Baker ski area. It spends most of the year buried in snow and is only open two to three months of the year. Artist Point draws a great multitude of visitors every year because of its iconic views of Mount Baker, Mount Shuksan and surrounding peaks and wilderness. Crews will start plowing through the snow on Monday, July 6. The work will take up to three weeks to complete. We will hopefully have the road open by late-July. The June heat-wave helped melt a significant amount of snow for us. As a result, there’s very little snow at the lower gate, near the upper ski lodge. There’s approximately 4 feet of snow at Terminal Lake parking lot. We should have the lower gate moved and the road open to Terminal Lake within the first day or two of work. After that, the snow gets deeper and the work gets harder. We don’t know yet how much snow is at the top. We haven’t been up there to see it. Artist Point enthusiasts can follow our progress with pictures, videos and a GPS tracking device from the Artist Point Web site - www.wsdot.wa.gov/Northwest/Baker/ArtistPoint/. We have to coordinate our work with the US Forest Service because they own and operate the lands and trails surrounding the highway. We coordinate our efforts with them, making sure they're ready to open as well. We either borrow equipment from other areas of the state or rent equipment to help with the snow removal. If we're borrowing, then we have to wait for the equipment to get freed up for our use. If we're renting, then we want to rent it at the optimal time so that we don't have to pay when we're not using it (e.g., over a holiday weekend). The road to Artist Point is nearly a mile above sea level. Since it's so high, it's subject to inclement weather (and snow) far later into the season than lower elevation areas. And, since the road is bombarded with nasty weather, it's void of many of your typical safety features, like guardrail, to protect drivers. They just wouldn't last long enough to make it worth it. We have to make sure the road is safe to open to drivers and that weather/snow threats have subsided before opening. We have to schedule around other projects crews are doing. Then there's a little thing called the budget that we have to stick to as well. For the last six years the road has opened in late June or some time in July. We opened the road to Artist Point last year on July 18, 10 days earlier than we did in 2007, and 9 days earlier than we did in 2006. The road opened on June 29 in 2005 and June 30 in 2004. And the road opened on July 15 in 2003. Here's the history, if you'd like to see for yourself - www.wsdot.wa.gov/Northwest/Baker/ArtistPoint/history.htm. Last year's pictures and videos of the opening can be found on our Flickr account - www.flickr.com/photos/wsdot/sets/72157605703374272/. They’re pretty spectacular. For those of you who can't wait to get up to Artist Point before the road is open, we ask that you please be mindful of our crews and the equipment. 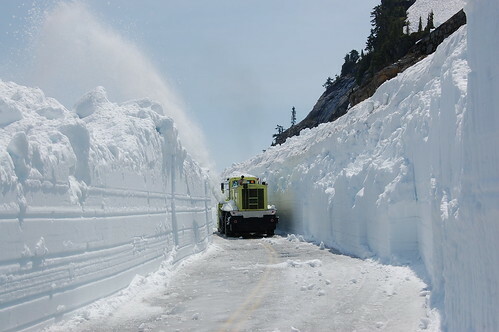 It's a difficult enough task to clear the snow from the highway without having to worry about visitors getting too close to the work. For your safety and our peace of mind, please stay out of the way. Thank you for your help. 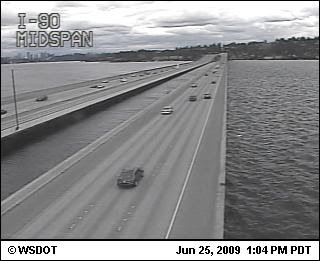 Getting across Lake Washington is hard enough when all the lanes on the highway are open. It sometimes makes you wish you had a boat. And in July we’re completely shutting down the westbound mainline lanes for a while. Yup. 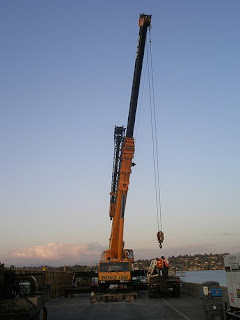 Starting July 6, work starts on the westbound I-90 floating bridge. By July 6, all westbound traffic will be funneled into the two express lanes for two weeks while crews replace cracked expansion joints. 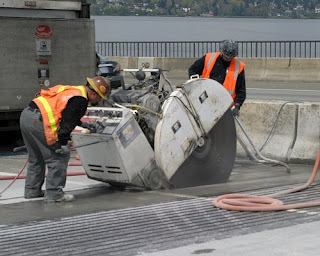 This work improves safety on I-90 it will temporarily snarl traffic from Issaquah to Seattle all day long unless drivers change their habits. We don’t want you to sit in traffic any longer than is necessary. WSDOT traffic engineers welcomed five more cameras to the traffic flow map family. Now Eastside drivers can check the backups before they leave home. The cameras are located at Front Street, 161st Avenue SE, East Mercer Way, Shorewood Drive and Island Crest Way. Sharing the ride has never been easier. Visit WSDOT’s commute options Web site for a (van)pool full of time-saving commute option ideas. Who knows? After trying out transit and a few new ways to get there, you may never return to driving alone. You might even score a gift card for carpooling. I know some of you already are thinking about reasons why biking to work is not for you. Well, what if biking to work meant you could skip gridlock, and try out two cool new temporary bike and pedestrian bridges on the I-90 floating bridge? If that doesn’t sway you, maybe WSDOT’s Web site with resources for bicycle commuters will. These detour routes will help Mercer Islanders fight gridlock and safely navigate their way to I-90. Note: Only two westbound I-90 on-ramps will be available for Mercer Island drivers in July – 77th Avenue SE and Island Crest Way. During construction WSDOT will send real-time traffic conditions via Twitter. Passengers in carpools or vanpools can then help the driver choose the best route. Solo drivers also can receive the information, just not when they're driving. Remember, it is illegal in Washington state to use a handheld cell phone while driving. If tweets make you twinge - no problem. We’re going to send real-time traffic conditions to your favorite news radio station around-the-clock. Feel free to tune in during your commute. The work on westbound I-90 begins July 6 for two weeks. For more information, please visit www.wsdot.wa.gov/Projects/I90/HomerHadleyBridgeRepair/. Ever have one of those days where you look at something and say, "why did I do it that way?" I had one of those moments the other day and it made me take a closer look at the Seattle traffic Web site. We have up-to-the-minute information about incidents, which usually affect traffic the most, but you have to go to a separate page to find it. We have some great information in the blue box at the bottom of the page, but very few of you click on those links, and you didn't click on the fancy rounded button we had at the top of the page either. We have Spokane and Wenatchee links on this page. None of you click on them. Many of you didn't know there was a mobile version of this site. http://wsdot.wa.gov/beta/seattle.htm, here is a page with a camera and here is the current page for comparison. You will notice that none of the camera icon links work on the beta page, we are looking for feedback on design right now and will patch that up later. Added a direct link to Snoqualmie and Stevens pass. These are our most used sites in the winter, but also great to check for traffic in the summer.